Want Patagonia to Yourself? Do THIS! Revered for being wild, remote, unpredictable and utterly astounding, Patagonia appears – at least on paper – to be an unlikely candidate for tourist overcrowding. 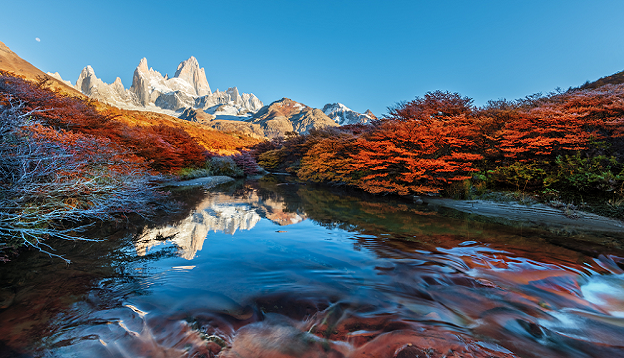 Yet the fact remains: when roads are few, highlights world-famous, tourist season short and nature resplendent, you’ll be amazed at just how crowded some of its biggest highlights – like the Torres del Paine National Park and Perito Moreno glacier – can get in December, January and February. If you’re planning to visit Patagonia during the height of the summer, you’d better be ready to book everything months in advance, most especially if you’re coveting one of the luxury lodges for which the region is renowned. 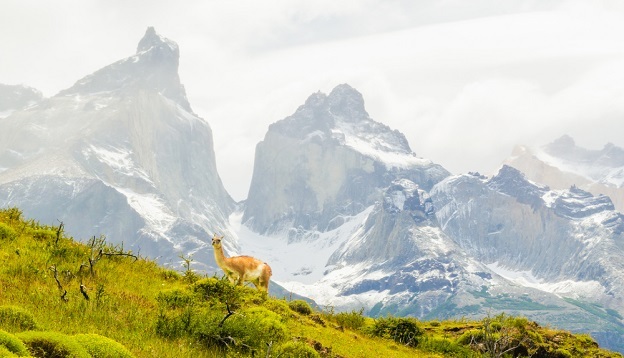 Patagonia is certainly a popular South America destination during the southern summer months yet dodging the crowds – even in its most visited nooks – is not as hard as it may seem. Whilst the most obvious option would be to travel here in winter, there’s still plenty you can do to dodge the crowds and experience this magical place in all its glory. After all, summer sees Patagonia at its best, so why should you miss out? Here are 5 top travel tips if you want to dodge the crowds in Patagonia and feel as if you have the place all to yourself. You need not head to Patagonia in the heart of winter to dodge the tourist crowds although, to be honest, Patagonia is actually amazing in winter. If you’re happy to forego extensive hiking then you will have an incomparable experience. Nevertheless, it’s great to have all options open and, for this, the shoulder season is ideal. Patagonia is resplendent between September and November: the wilderness is lush, the glaciers at their biggest and the walking trails – which are just opening up for the year – blissfully desolate. Prices are still much lower then they will soon be so you get an exceptional value-for-money trip to boot. Travelling to Patagonia during the shoulder season also means better wildlife viewing and wilderness enjoyment, as fewer people means less noise, fewer disturbances and a more contemplative and immersive journey for you, overall. Temperatures during the shoulder season will be obviously a little lower than in January but your reward, for an extra layer of clothing, will be incomparable. March to mid-April is also a fantastic time to visit as you’ll be privy to a visual spectacle no-one else will get here: Autumn. The late-season colour burst in Patagonia is insane and – those who have been at different times of year – will attest to this being a stunning time of year. You’ll find fewer accommodation choices at the end of the main tourist season and, if the snow sets in early, a few of the longer trails will close but overall the pros far outweigh the cons. Torres del Paine is all the business in Patagonia, if you catch our drift, yet this truly expansive region has so much to offer those who wish to explore off the beaten trail. Whilst Torres is undoubtedly amazing, so is the Chiloé National Park, a wildlife haven home to a flurry of unique land and marine animals, lesser-visited trails and untold natural splendours. With direct flights from Santiago and chances for penguin, seal, whale and bird-watching, Chiloé is a nature-lovers paradise, one not many people consider. 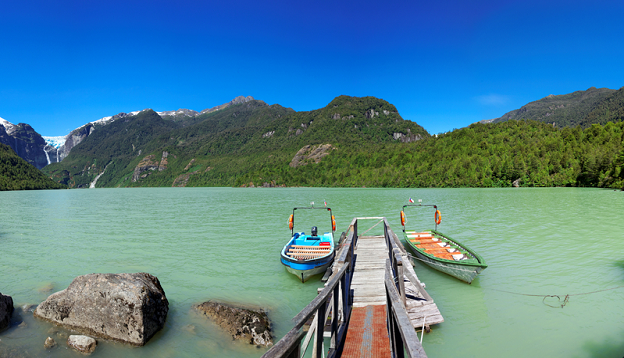 Head to Queulat and Los Alerces in Chile’s Aysen region, for icy beauty so astounding it will stop you dead on your tracks. This is the land of glaciers and fjords and vertiginous peaks, a region that’s visited by fewer people. The options for dodging the crowds in Patagonia are truly endless and that’s because whilst overcrowding is a real issue, it only really affects a few choice spots. Yet that doesn’t mean others aren’t as extraordinary. In a region of South America that covers over one million square kilometres, there’s simply no reason to share your spoils with countless others if you don’t want to. Get off the beaten trail in Patagonia and you’ll be left wondering what this overcrowding fuss is all about. Even the most famous and visited national park in Patagonia boasts plenty of hiking options not many visitors even know exist until they actually arrive. The tourist scene in Torres del Paine is quite predictable: the great majority of visitors stay for a couple of days, tackle a portion (or all) of the legendary Paine Circuit, and then leave. But alternatives abound. First of all, know that no matter where you walk in Torres, you’ll be soaking up startling views, meet wildlife galore and be overawed by those spectacular towering peaks. Secondly, there are over two dozen day-hike trails alone, so dodging crowds is easy even in summer. Take the Fauna Trail to see soaring condors and an abundance of guanacos, explore the south end of the park, which tends to be wilder (and windier) but attracts smaller crowds. There’s countless lakes, viewpoints and peaks to discover, especially from remote lodges that boast their own walking trails. Go there instead and, even at high season, you’ll feel like you have the place to yourself. But you must book well in advance as accommodation books out fast. Know where to go in the most popular spots of Patagonia, get insight from specialist guides and you’ll be dodging the crowds like it’s nobody’s business. If you’re an active explorer, you’ll be happy to know that there’s more to do in Patagonia than simply hike. Mountain biking and horseback riding are not only a super fun way to experience the region but also allow you to get off the hiking trails, explore more remote regions and cover more distance in a day. 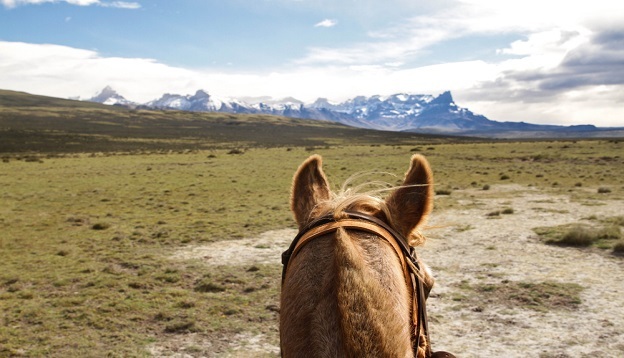 Specialised adventure tours are now offered even in Torres del Paine, yet another genius way to get away from the crowds and still immerse yourself in pristine nature. There’s no point in taking every measure under the sun to dodge the crowds in Patagonia, only for you to go there with 50 fellow travellers on a large group tour. Start with a private tour, a dedicated guide and a flexible itinerary that allows you the luxury to pick and choose as you go, not one that restricts your freedom. It’s worth the (sometimes) extra expense to ensure you can really feel like an independent, out-there explorer. Patagonia may well be ‘it’ place right now but in this gargantuan and rather spellbinding region, your options for crowd-dodging are bountiful. So contact us if you’d love some help in planning your own, unforgettable journey to this most wonderful part of the world. We can dodge the crowds together. From the Moreno Glacier to Mount Fitzroy, this tour encompasses some of the greatest sites in the region. A mixture of trekking and sightseeing this is recommended for those with average fitness and above!